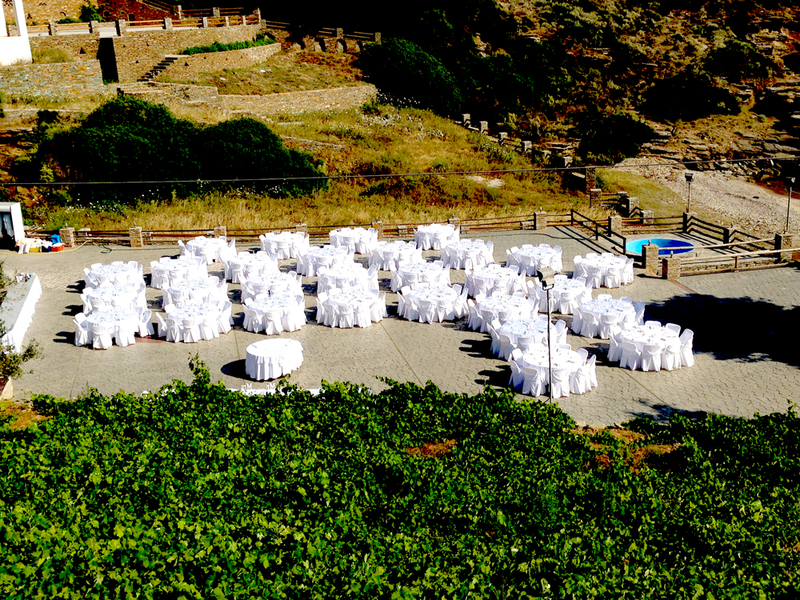 A large outdoor area with a tavern, built at the height of the sea just behind the chapel of Agios Kiprianos. The common area can host up to 500 people reception. 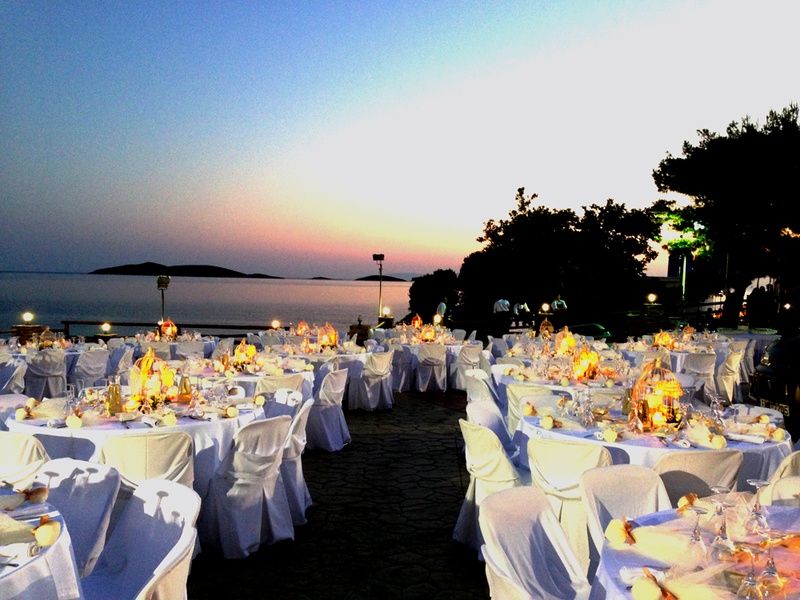 It is ideal for large receptions. 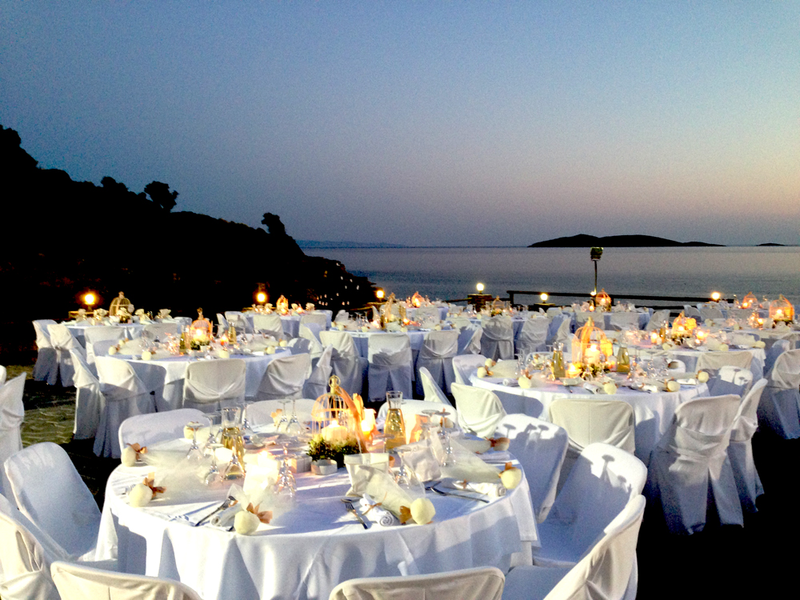 On the night of the reception can be transformed into a unique space. The view and the peacefulness of the area astounded us. It is a unique experience to get married in a chapel of Agios Kiprianos. It is situated on the sea rocks.